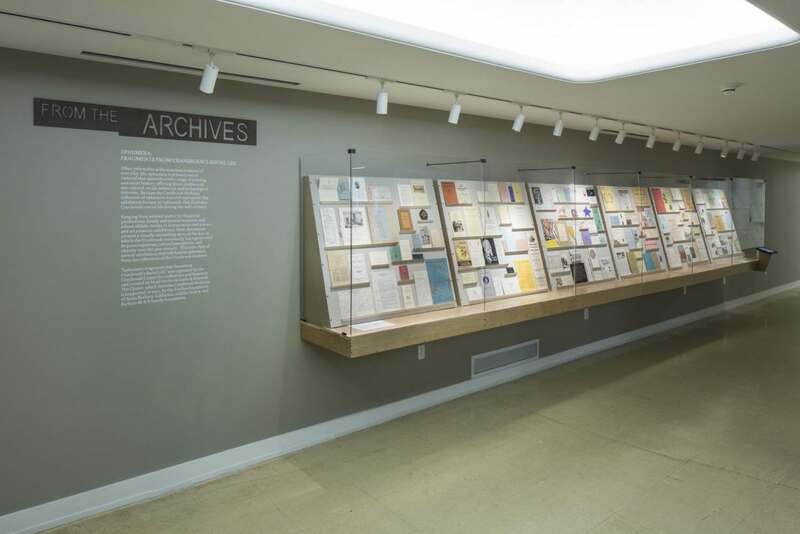 Two selections of ephemera from the exhibition highlight the variety of documents that fall under this important archival category. Courtesy Cranbrook Archives. Often referred to as the transient evidence of everyday life, ephemera is primary source material that spans the entire range of printing and social history, offering direct evidence of our cultural, social, industrial, and technological histories. Because the Cranbrook Archives’ collection of ephemera is so rich and varied, this exhibition focuses on ephemera that illustrates Cranbrook’s social life during the 20th century. Ranging from printed matter for theatrical productions, family and alumni reunions, and school athletic events, to lecture series and science and art museum exhibitions, these documents present a visually compelling story of the way in which the Cranbrook community has represented its preoccupations, cultural perceptions, and identity over the past century. This is the first of several exhibitions that will feature ephemera from the collections of the Cranbrook Archives. Ephemera: Fragments that Document Cranbrook’s Social Life was organized by the Cranbrook Center for Collections and Research and curated by Head Archivist Leslie S. Edwards. The Center, which includes Cranbrook Archives, is supported, in part, by the Towbes Foundation of Santa Barbara, California, and the Fred A. and Barbara M. Erb Family Foundation.